You know they’re coming: plant bugs, thrips, and their posses. University entomologists offer several considerations for getting the drop on these early-season pests. 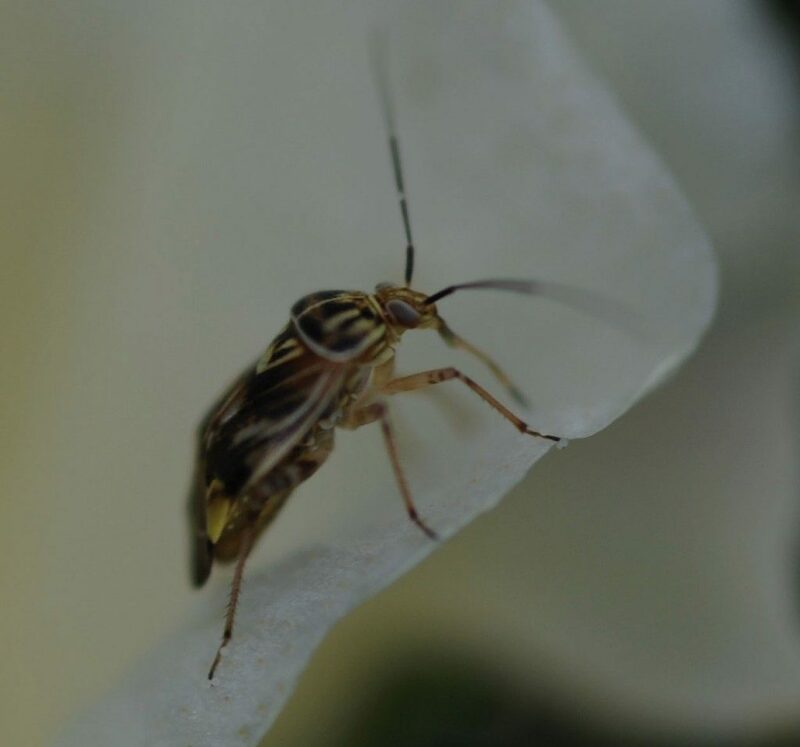 Plant bugs remain the Mid-South’s No. 1 insect pest. “Early-season, we still have neonic products such as Centric and imidacloprid,” Stewart says. “I think they are options for the first spray or two prior to flowering, but as we get closer to bloom, we probably will use them in combination with other materials, such as Diamond. “All the Mid-South states will have another Section 18 label for Transform, which has been an excellent product for us; we’re using more of it than before. In the middle of the season, once we get into bloom, we consistently use three products: Transform, Orthene, and Diamond. “I like mixes such as Transform + Orthene or Diamond + Orthene. Transform stands very well on its own, but I like mixing it, particularly late in the season, with something like Bidrin or Orthene to catch stinkbugs. However, you can often accomplish the same thing by rotation. Clemson University Entomologist Jeremy Greene says thrips are South Carolina’s most predictable insect pests in cotton every year so he urges growers to plan on using preventive treatments. Most cotton seed comes with treatments that help control thrips. “We have other options, too, including in-furrow applications; we sometimes combine seed treatments and an in-furrow application. If you have a large acreage and you have to spread planting out for a month or longer, it might be a good idea to stack your treatments on some of the earlier crop that will be more susceptible to thrips because of the cooler temperatures that slow plant growth. And on later planting dates, you can just go with the seed treatment. Applications of in-furrow insecticide include granular and liquid formulations. “Granular formulations options will basically be AgLogic 15G or Thimet 20-G,” Greene says. “As far as liquids, you can go with something like imidacloprid or acephate. Continue reading the entire article. • Should You Spray for Cotton Thrips?